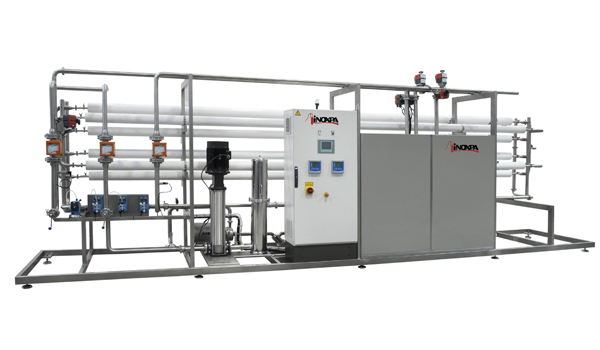 This membrane filtration skid has been designed by ECOFLOW, a partnership between TECNICAL (which designs and manufactures equipment for the cheese-making industry), ECOGEST (develops and manufactures chemical and cleaning products for the food processing industry) and INOXPA. The manufactured skid is used for one of many applications of the membrane filtration systems: treatment of well water. Osmosis makes it safe for preparation of fruits and vegetables. The skid is designed to purify water used for preparation of baby food.